He was a brought into one of the more enviable college football coaching jobs in the country. But the Jim Harbaugh era at the University of Michigan just might be in peril. After absorbing a 42-13 thrashing at Penn State this past weekend, the Wolverines’ chances to win at least a share of the Big 10 East Division title appear to be in jeopardy. On the heels of an earlier loss to rival Michigan State, the goodwill that Harbaugh encountered has lessened. The local Detroit press has even taken to questioning if the former UM quarterback has what it takes to break Ohio State’s stranglehold on the conference. There’s no questioning Harbaugh’s success as a coach at past stops. He won at the University of San Diego, Stanford University and with the San Francisco 49ers, leading the latter to the Super Bowl one season. But along the way, Harbaugh has earned enemies with his brash behavior and sometimes outrageous statements. He’s been successful in Ann Arbor, leading the Wolverines to a 10-2 regular season in his first season. His team slipped a little last season and lost to Ohio State. This year’s team has lost twice already and will be a definite underdog to Ohio State next month. Not to mention a game at Wisconsin before that. The Wolverines have a sturdy defense, but lack of leadership at quarterback has hindered them all year. Neither Wilton Speight or John O’Korn has been effective. That’s a bit surprising because Harbaugh was one of the most efficient QBs in his collegiate career and should know the position. If he loses four games this season, the pressure will be on the Michigan coach, who makes $9 million a year. Only Alabama coach Nick Saban is in that category as far as salary goes. And everyone knows how successful he’s been. 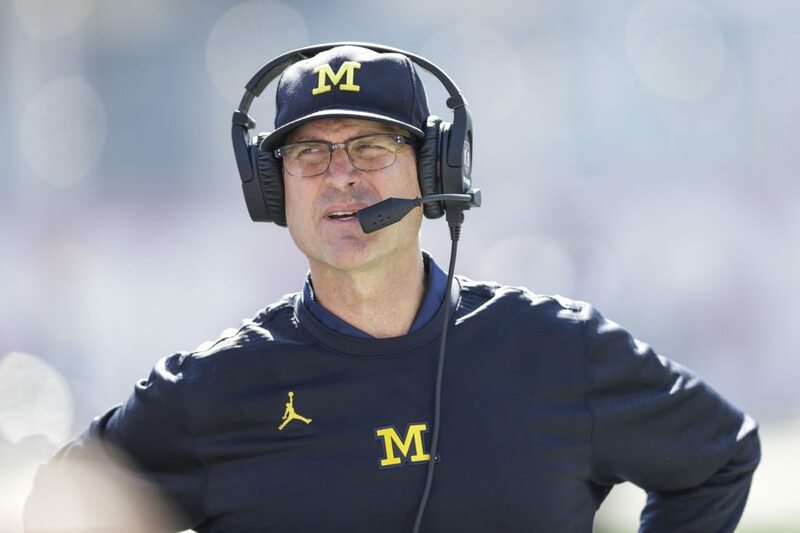 With a 1-4 record versus MSU and Ohio State — the foes he vowed to defeat after getting the UM job — time might be running out in the Harbaugh era.